Thinking of furnishing your house? Choosing furniture is one of the most important issues in the decorative project of any home not only because these pieces are the most conspicuous, but also because they speak volumes about the taste and style of the house owners. 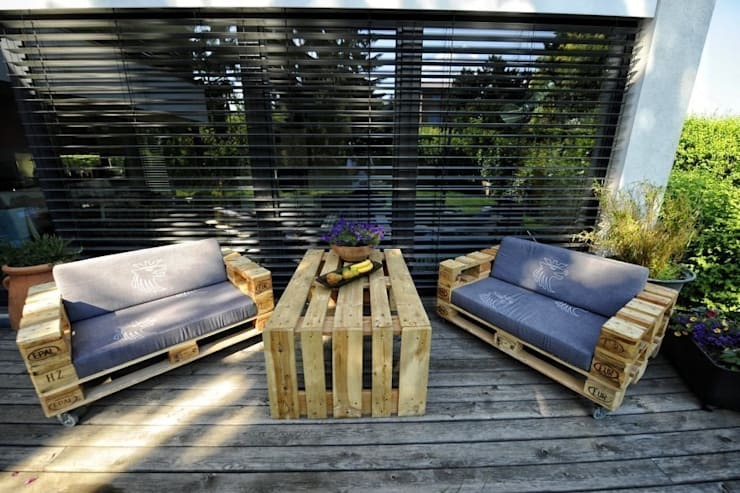 A very interesting and trending alternative is the use of recycled pallets for the creating furniture of all kinds. The use of this type of material is pocket friendly and sustainable. Decorators and interior designers know it well and hence in recent times pallet furniture is one very common sight is various furnishing proposals. 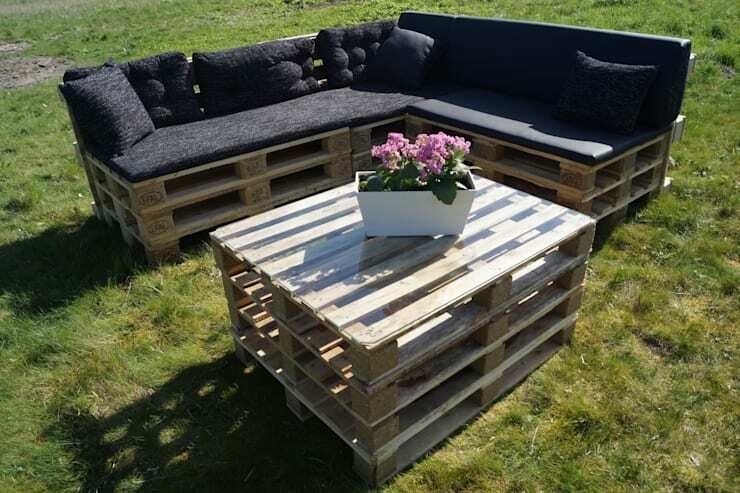 With pallets, it is also possible to take up a DIY project and make your own furniture, reducing the cost of furniture even further. 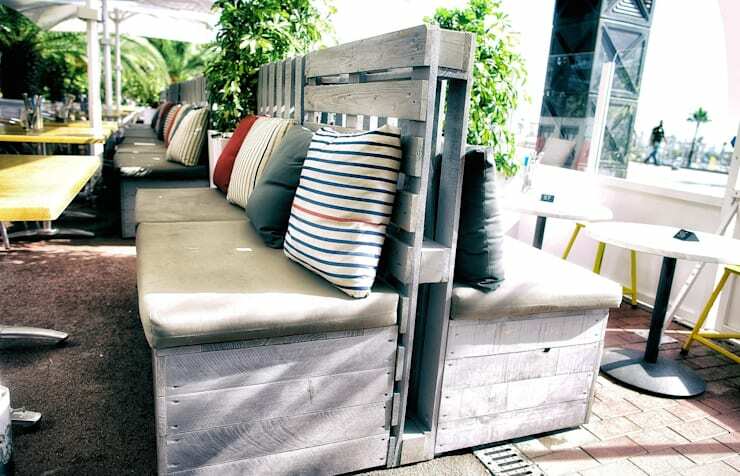 However in this ideabook, we have for you, more than 40 ideas of pallet furniture, that you would instantly want to copy. 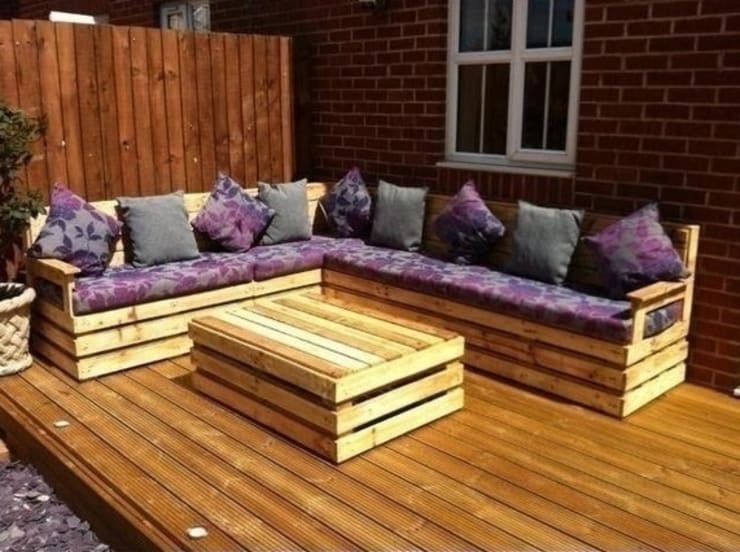 An appropriate treatment and an original design can turn some simple pallets into a set of spectacular outdoor furniture like this one. 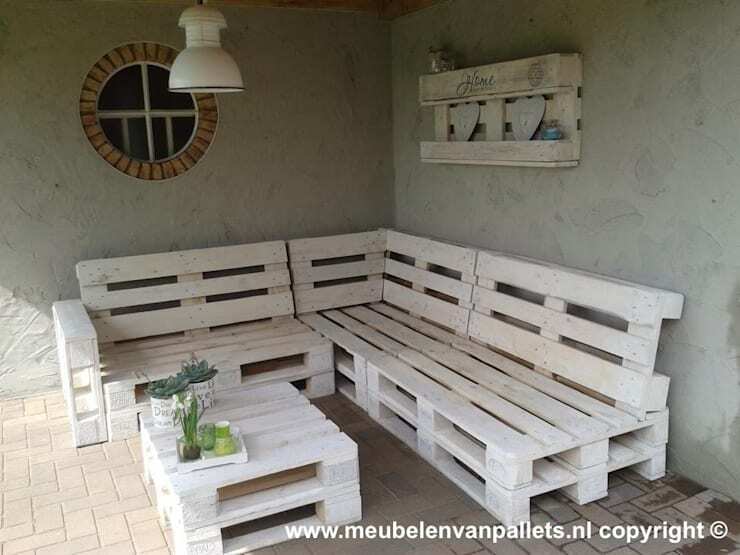 The reason for success in using pallets in the decoration is how simple it is to transform them into practical and functional furniture. 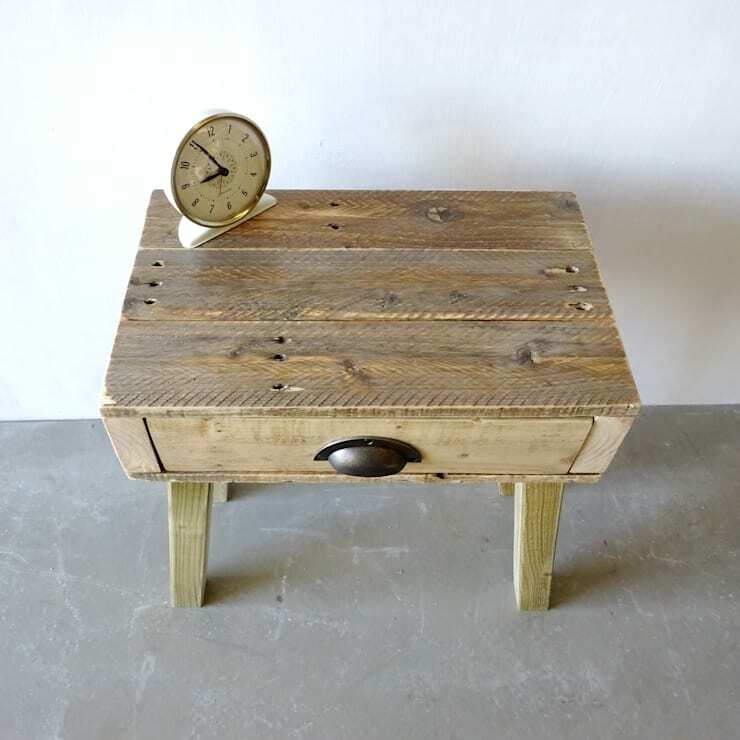 You just have to add some legs and you will have an ideal coffee table ready. 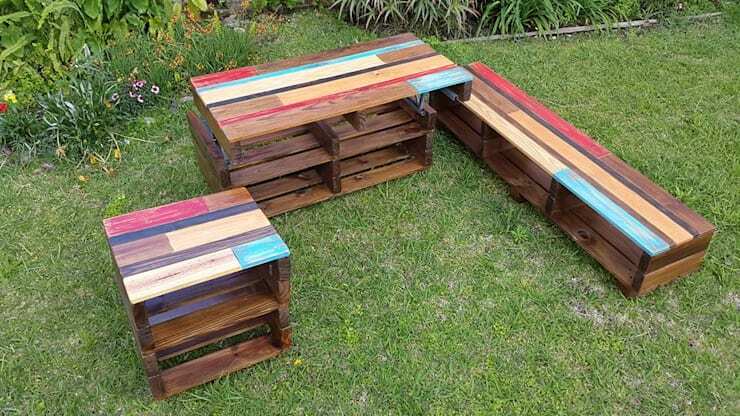 Benches made from pallets make up this unique set of furniture that is equally fit for indoors and outdoors. A practical and mobile coffee table! 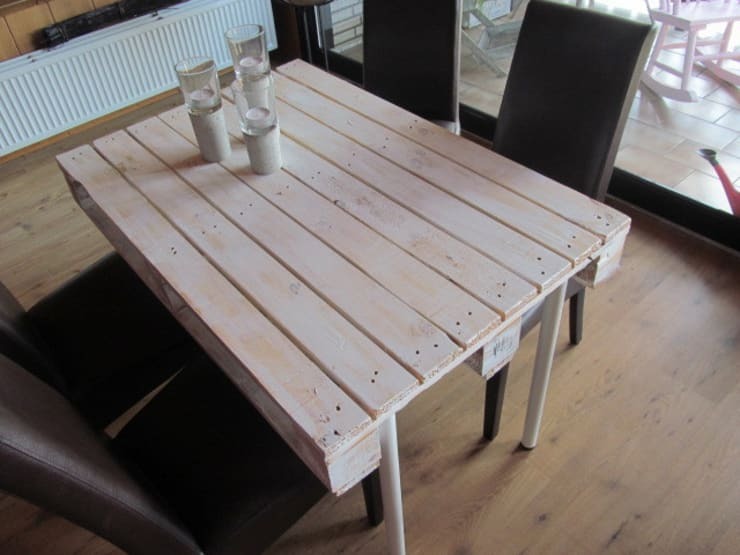 Just add some wheels on the legs and you can take your table made with pallets wherever you want. Are you wondering whether it is comfortable? You should try it! 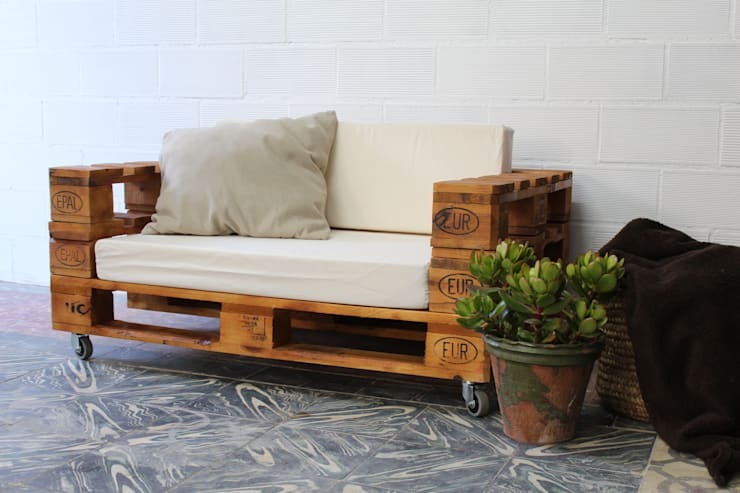 This sofa made with pallets has everything to make its expensive peers run for their money. If you love everything in perfect harmony, feel free to give a color bath to your furniture and make them blend in perfectly. 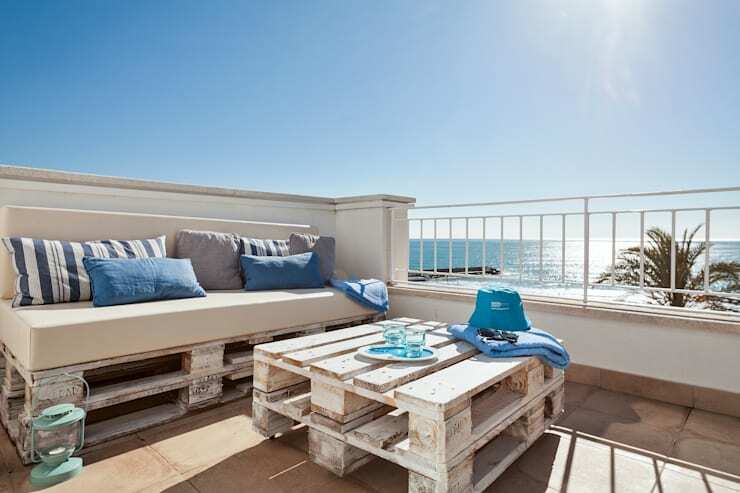 A simple yet elegant pallet furniture set for the terrace that gives it an eclectic feel. Another couch and table, with comfortable seating to add glamour to your exteriors. 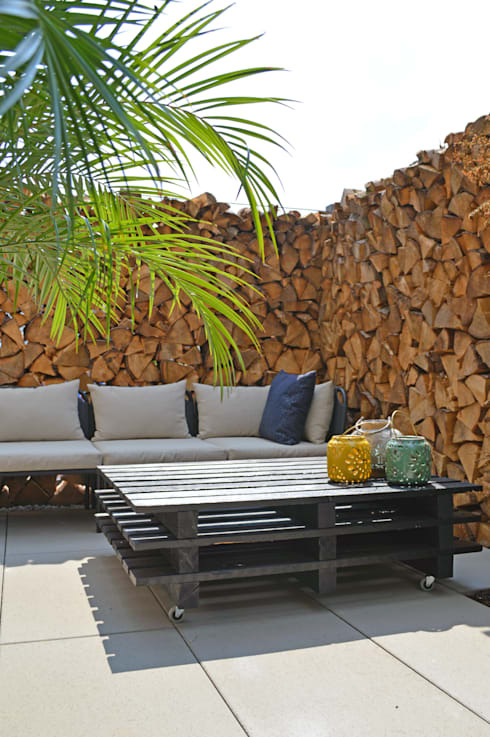 The furniture with pallets is perfectly integrated with any style of decoration. 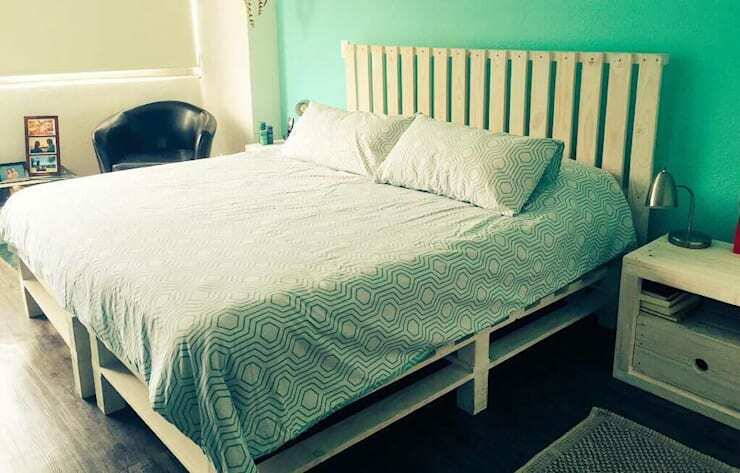 Whether you want to keep the colors natural, or like to paint the pallet furniture, it compliments a wide range of colors, so you have a whole palate of colors with the pallet furniture. 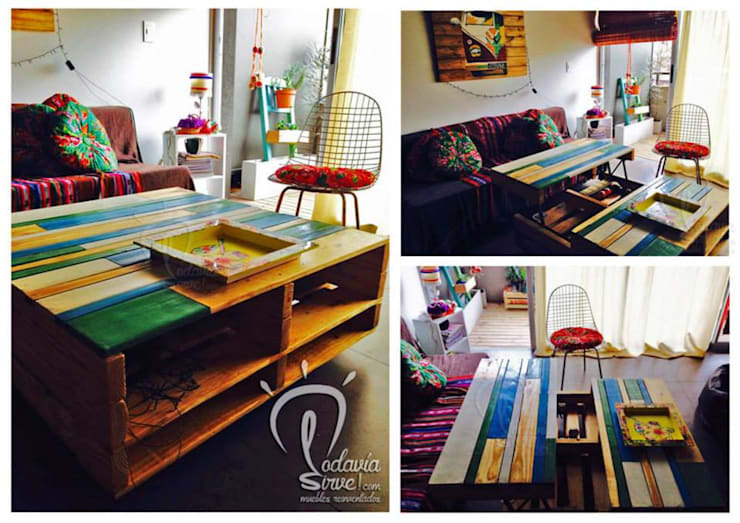 If you do not wish to use the pallets as it is, you can treat and mold them to your liking to create original furniture full of personality. You can have a super time with kids, while you engage them in painting their room furniture made of pallets their own way. 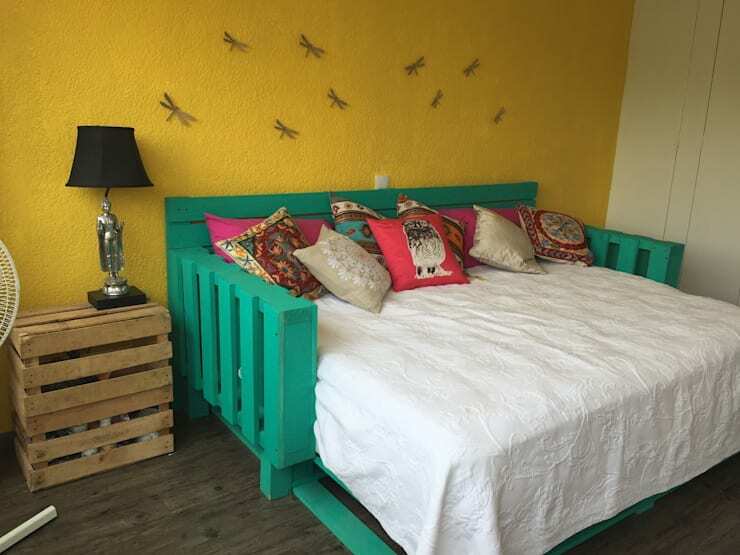 Pallet furniture is a great option for kids room, with respect to durability and cost. Here is how you can design a creative kids room to inspire imagination. 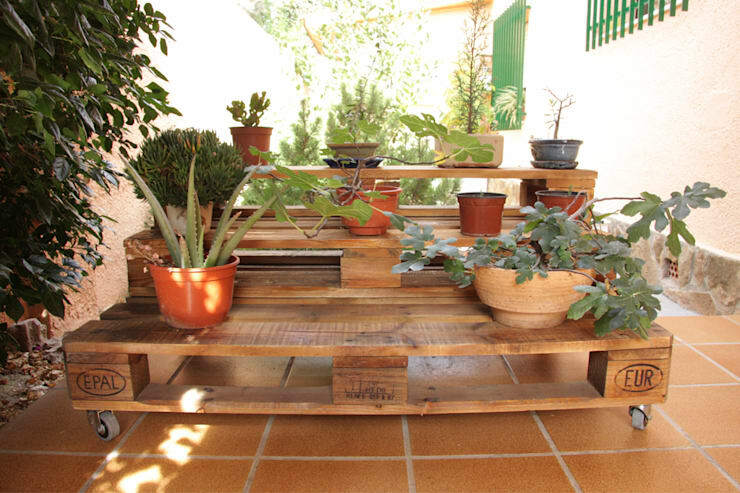 Whenever you need it, you can add interesting nuances to the design of your garden with some interesting furniture. 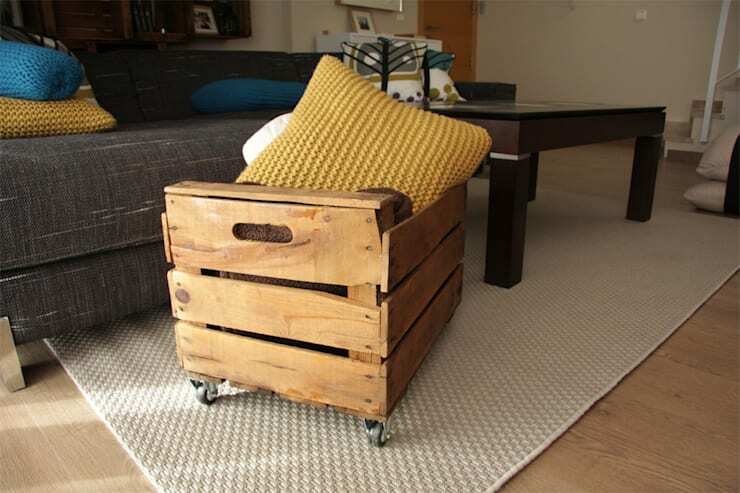 Doing it with your furniture made with pallets is an affordable and easy option. Here are 10 beautiful seating arrangements for your garden, hope you like them. 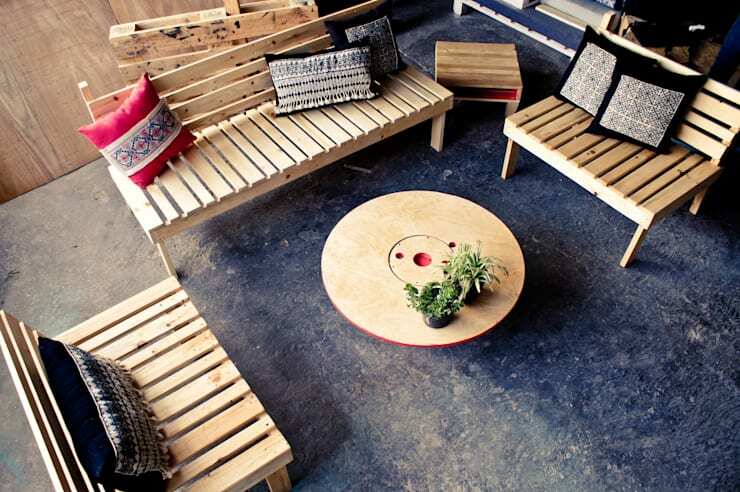 Love outdoor seating? 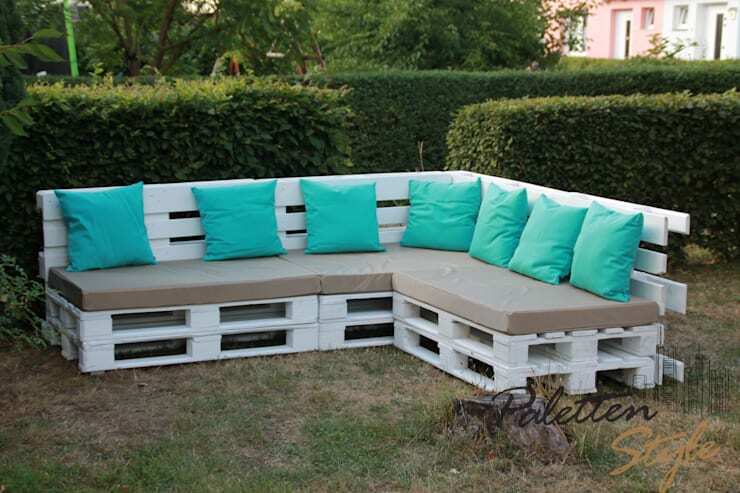 Here is another seating design created by pallets to woo you. 16. Let there be light! 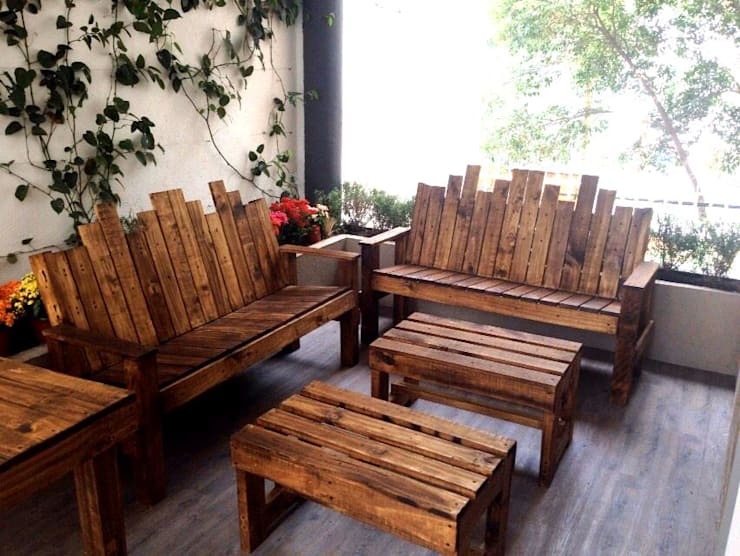 Originality knows no limits, so if what you're looking for something unique, how about adding some light to your furniture made with pallets? Nothing better than to feel comfortable while you bathe in the sun. 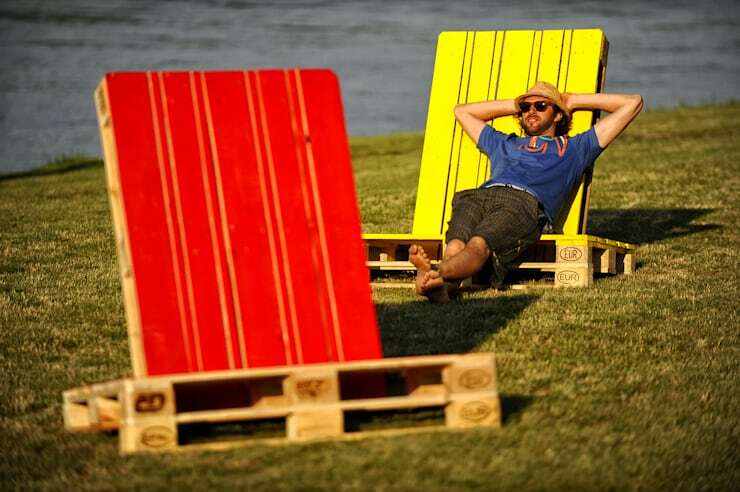 These colorful lounge style chairs will add brightness to your terrace or garden. 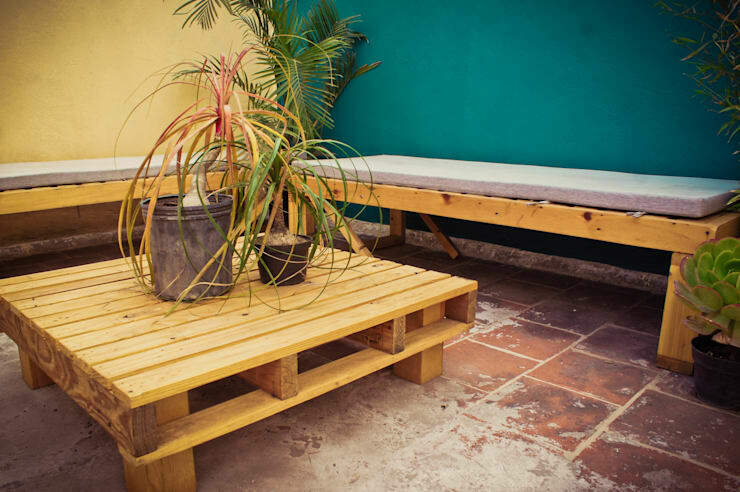 Furniture made with pallets are much more from than being mere decorative elements. 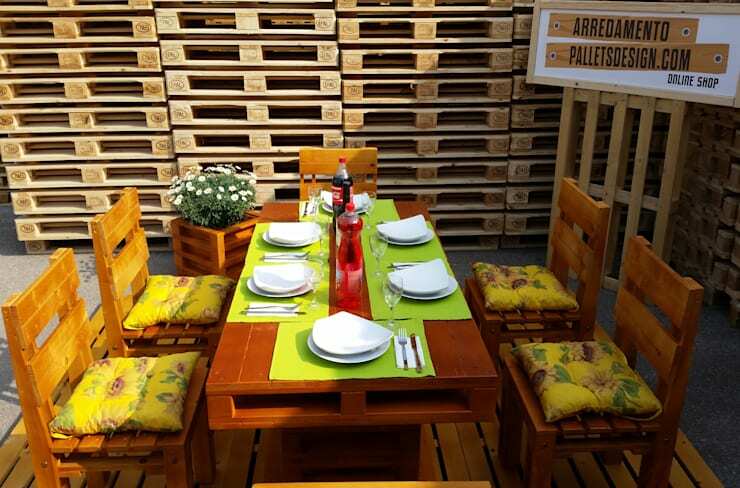 Its functionality leaves no room for discussion, as you can see in this entire setup created with just pallets. 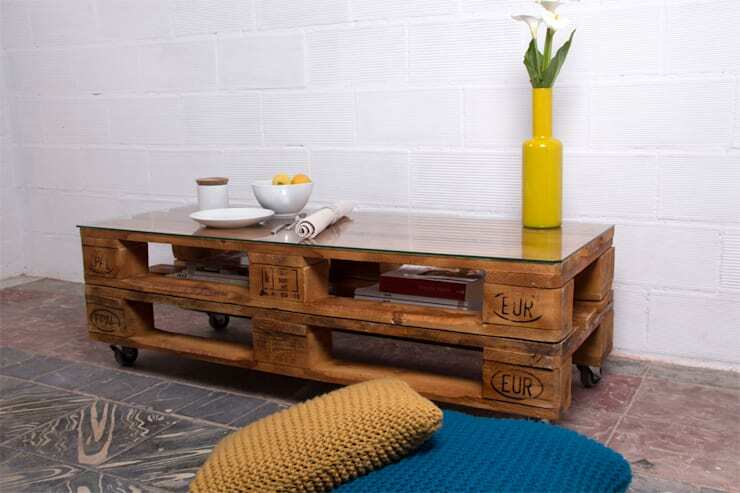 A simple console made from pallets can be very appealing, and act a beautiful table for low seating. 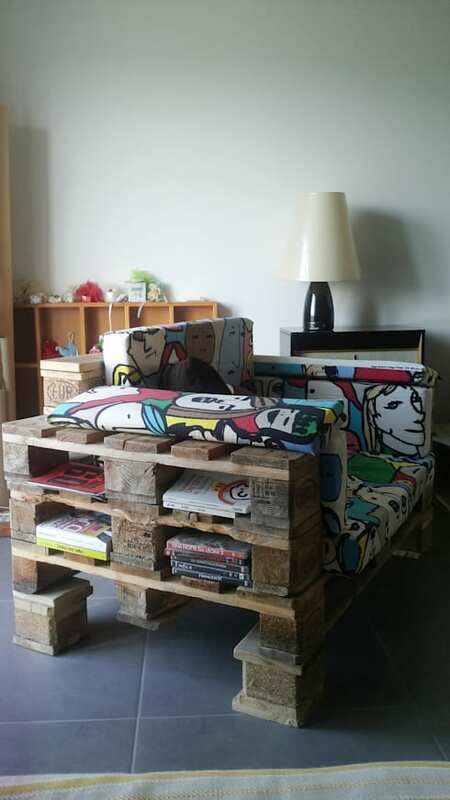 If you want to make your own furniture with pallets, be patient and do not forget to pay attention to the details. 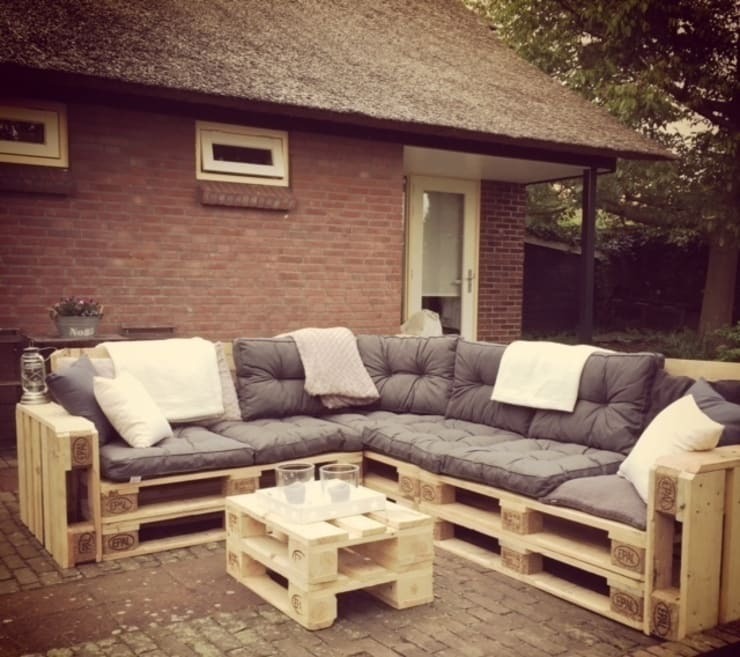 Using pallets as a base, this couch design is completed with a perfect arrangement of cushions and mattress that make this piece of furniture unique. 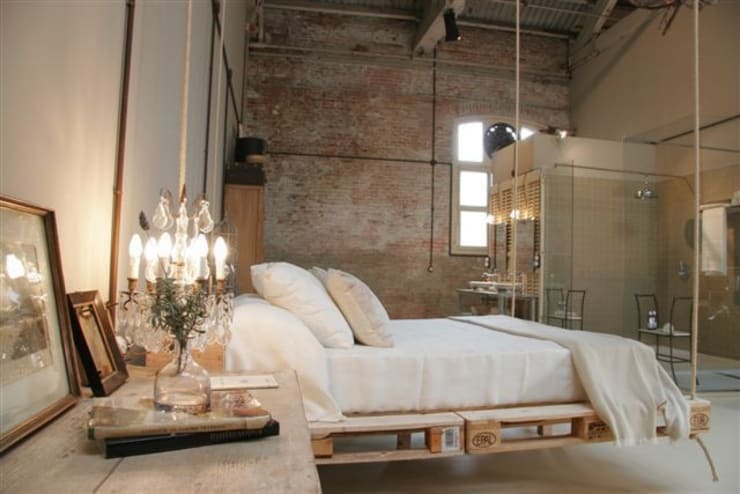 Whether in the form of a headboard or as a bed base, the pallets are ideal for creating bedroom furniture full of charm. 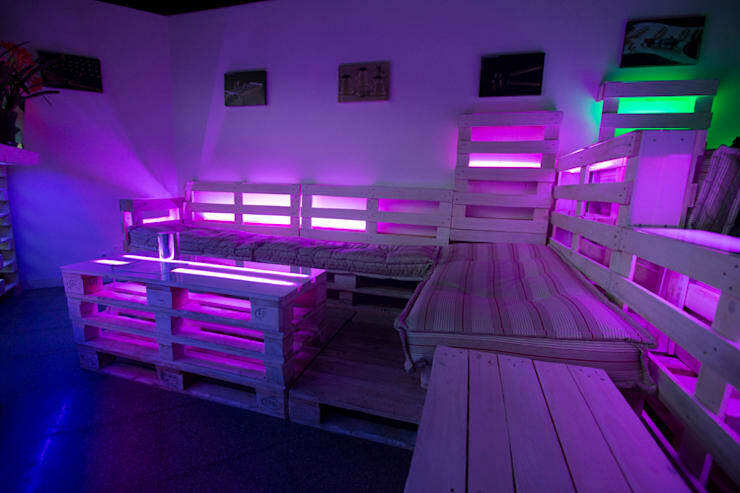 The pallets allow to create unique designs for the furniture of the room, both in color and shapes. 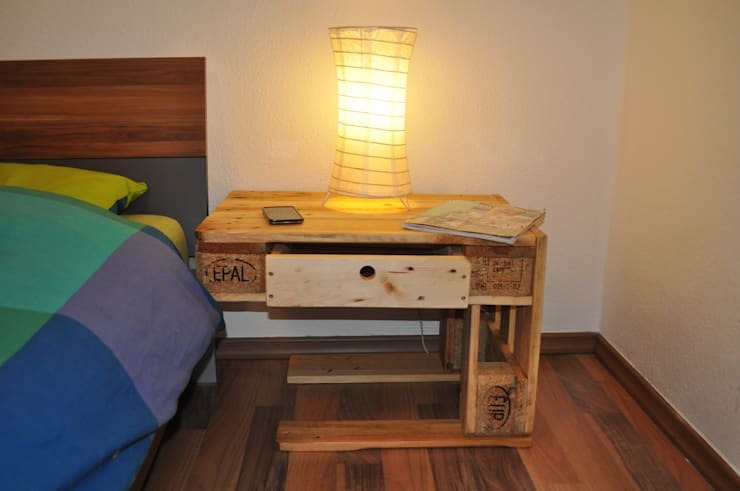 They are the perfect complement to any set of bedroom furniture, and precisely for that reason, they are not exempt from being manufactured with recycled pallets or wooden boxes, making them beautiful and functional. With a single pallet you can get a single table. This design is not only original but also has everything necessary to become a functional and practical piece of furniture in your room. 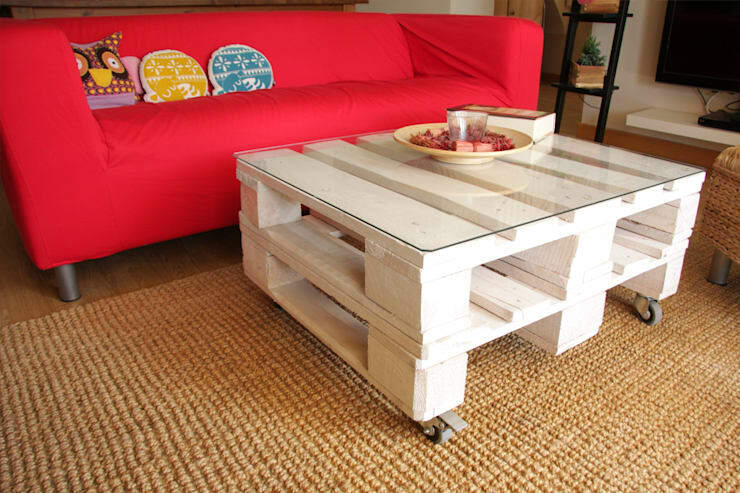 Apart from decorative or smaller pieces, the pallets can also give life to more bulky items such as the dining table. 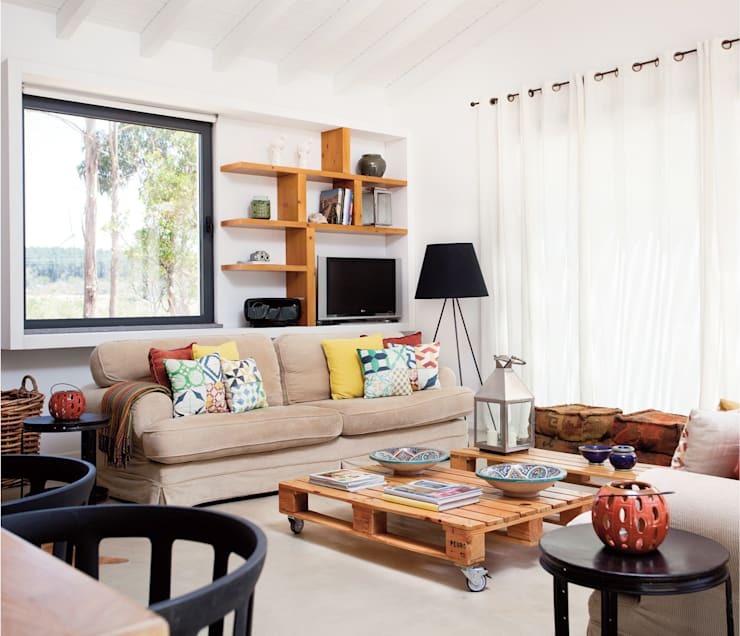 When you have space constraint, how about a set of furniture made with pallets for your living room with a small couch, a couple of poufs and a small table? Simply ideal. 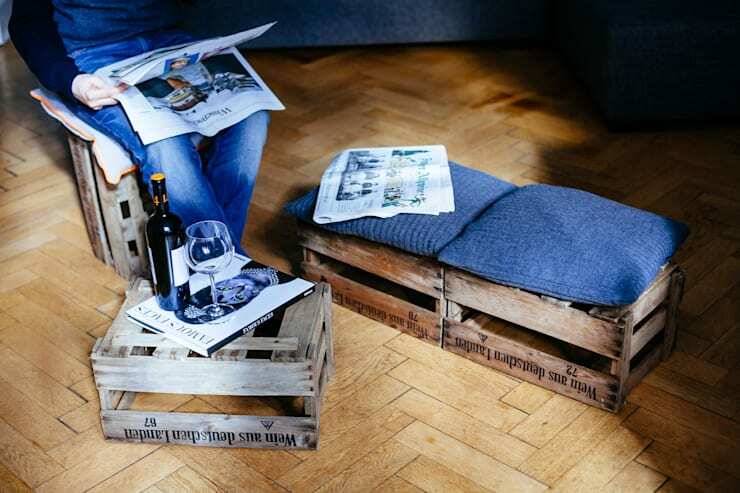 Let yourself be seduced by the vintage aesthetic of an armchair made with pallets like this. 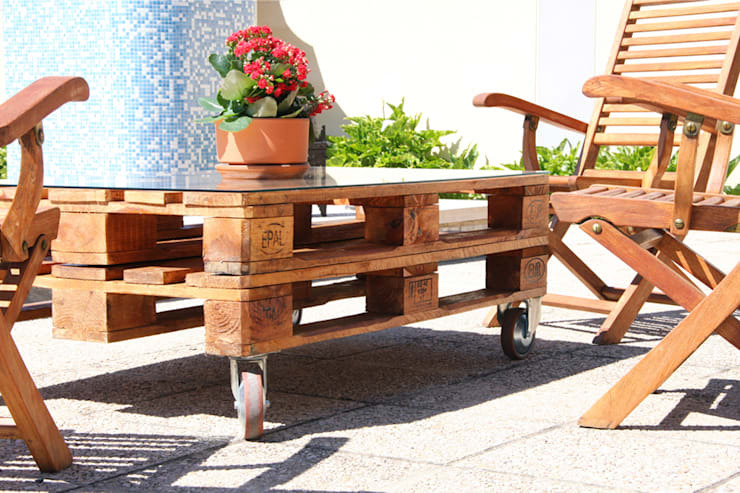 Whatever style dominates in your home, feel free to introduce furniture made with pallets. The results can be as aesthetically effective as in this room. Wooden boxes are also a material commonly used for the production of recycled furniture. This is a perfect example of what we mean. Magazine rack, storage solution, mobile bar furniture? A multi-functional and low cost furniture idea. 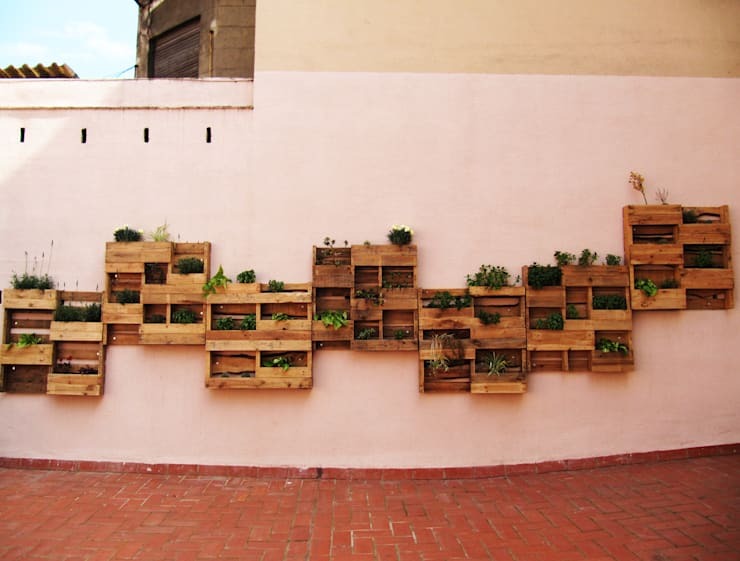 Those responsible for this design, gave the pallets a unique role occupying a whole wall creating shelves based on these materials and wooden boxes. Original and super practical right? You can also take advantage of the pallets as charming exhibition shelves. In a place where order and neatness is a must, having the right storage is the key. 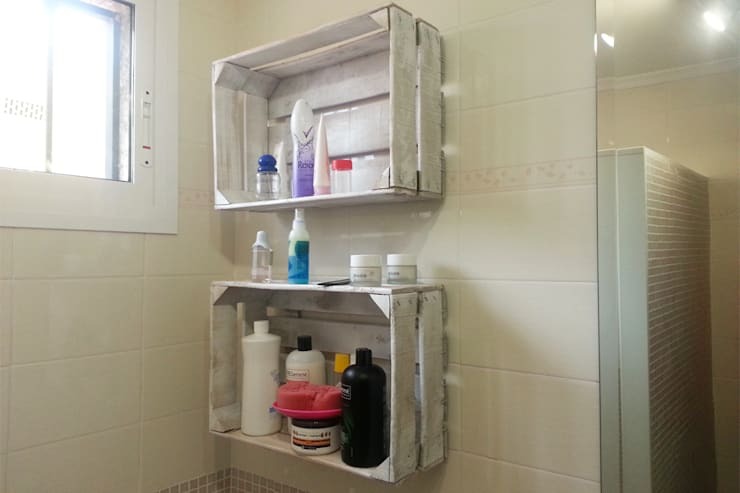 These recycled wooden boxes painted roughly are a good looking and cost effective storage solution for your bathroom. Here are 15 small bathrooms you need to see before your redecorate yours. 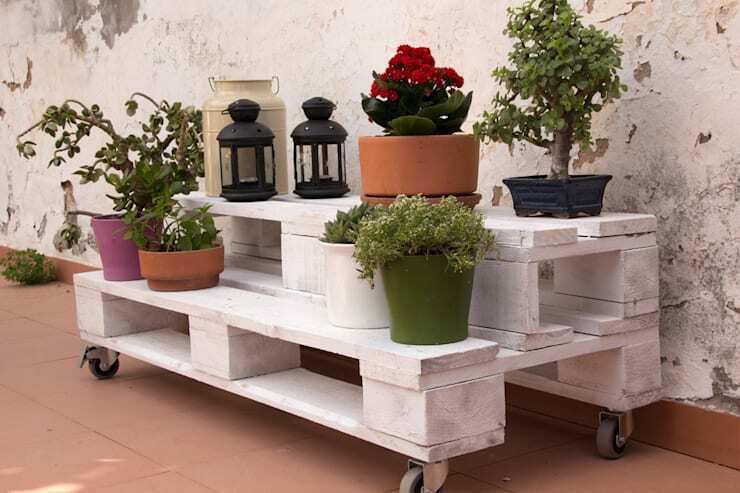 If you want an original arrangement for your pots and planters, nothing compares to making your own structure of recycled pallets. 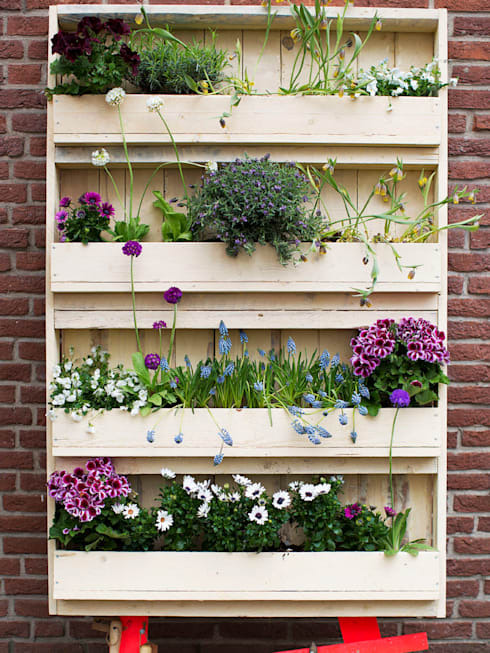 Want to create a vertical garden? 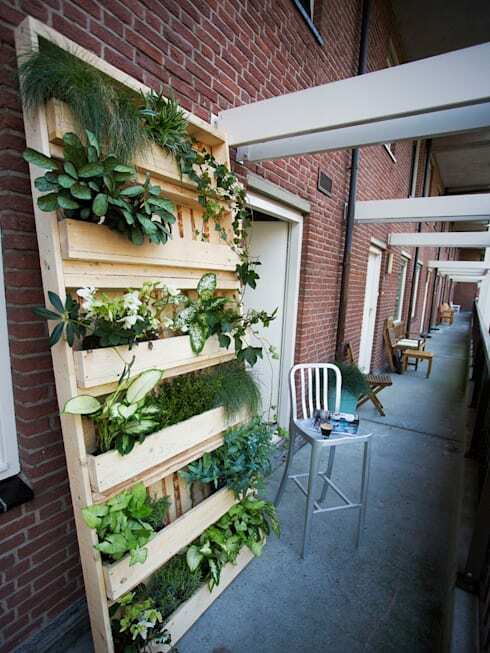 Here are 37 great ideas to have a vertical garden at home. 43. Excess of it, isn't bad either. When you simply love the pallets.. it shows! Feeling inspired? 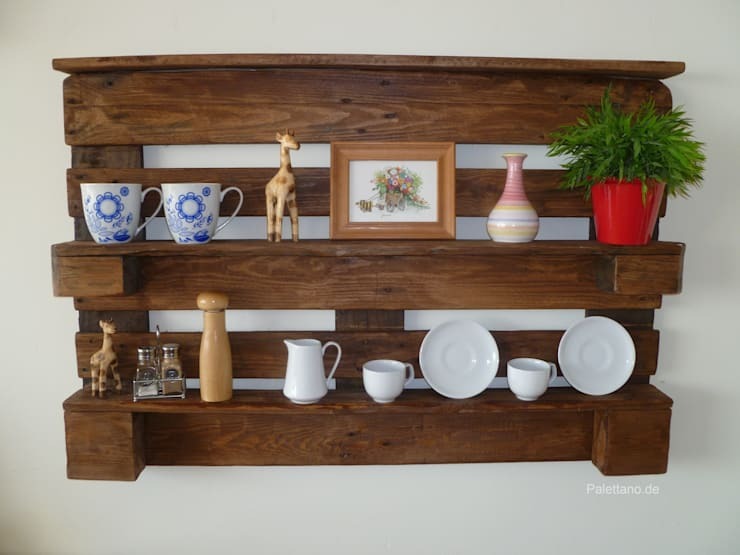 What is the first piece of pallet furniture that you want in your home? Feeling inspired? 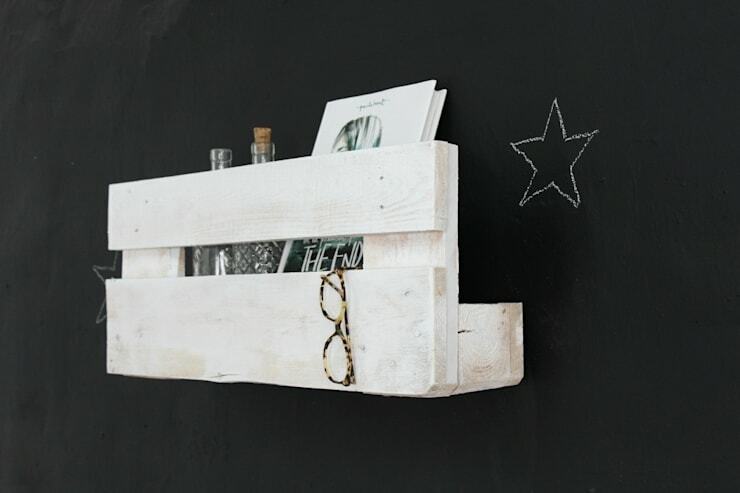 What is the first piece of pallet furniture that you want in your home?